Denise and her husband were building a new addition to their home in Raceland, Louisiana. 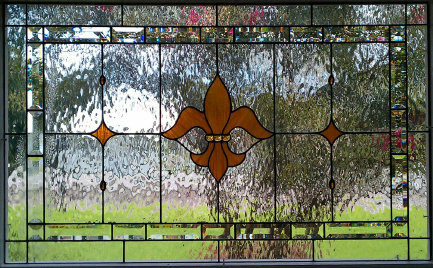 They wanted a window with a fleur-de-lis design similar to Susan's Window. We played around with the design, changed the fleur-de-lis shape slightly, added a jeweled band in the fleur-de-lis and added 4 oval accent jewels. 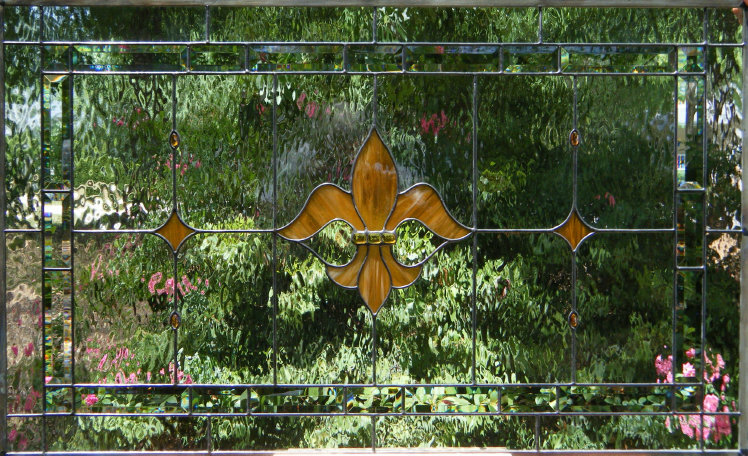 We also added a beveled band around the central motif instead of the textured glass band like in Susan's Window. 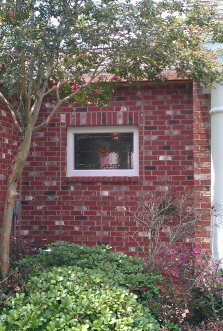 Denise's Window measures approximately 24" x 39", contains 69 pieces of glass and was completed in April, 2011. 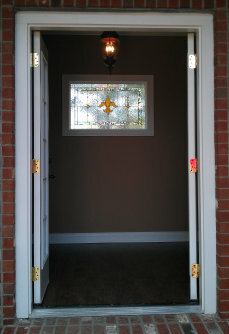 Denise and her husband were kind enough to send some great "after installation" photos of their new window. Notice the privacy afforded by the clear waterglass ... yet almost 100% of the light comes in.